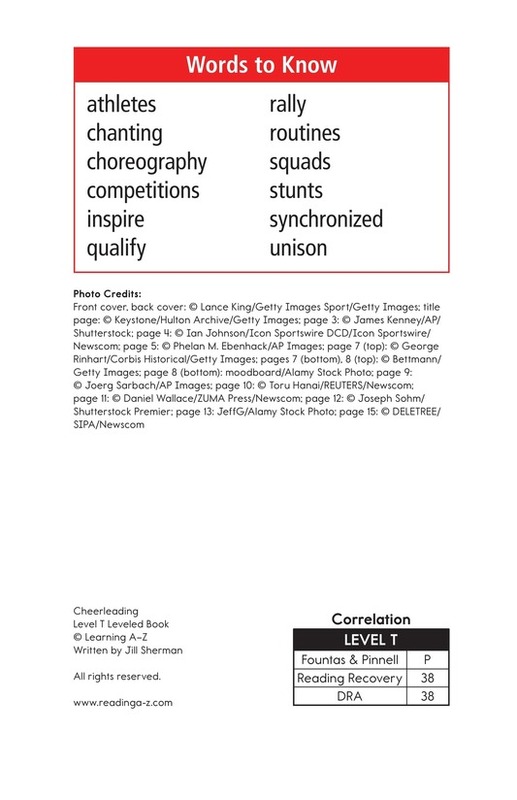 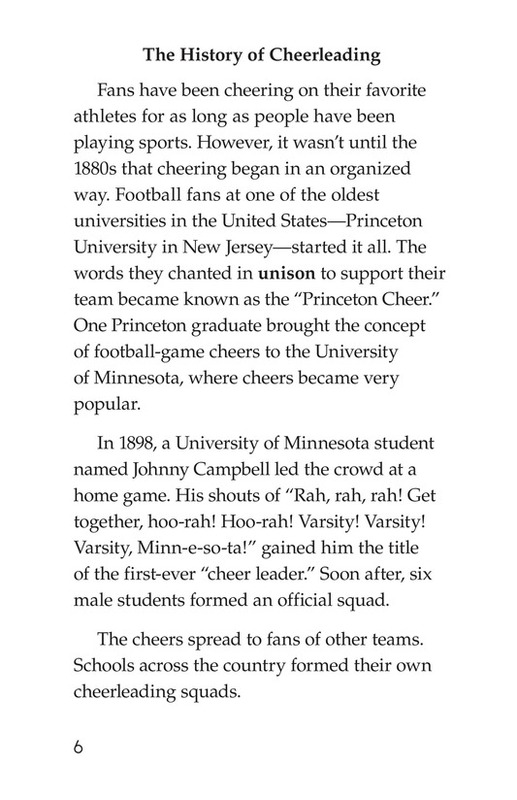 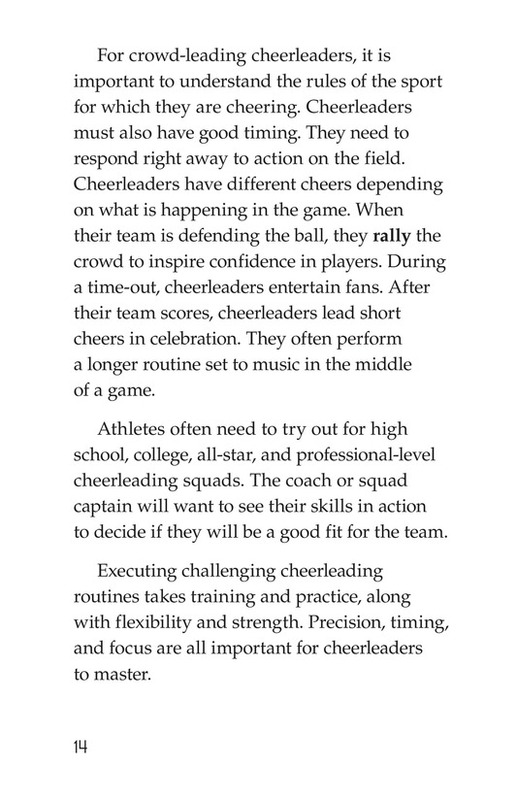 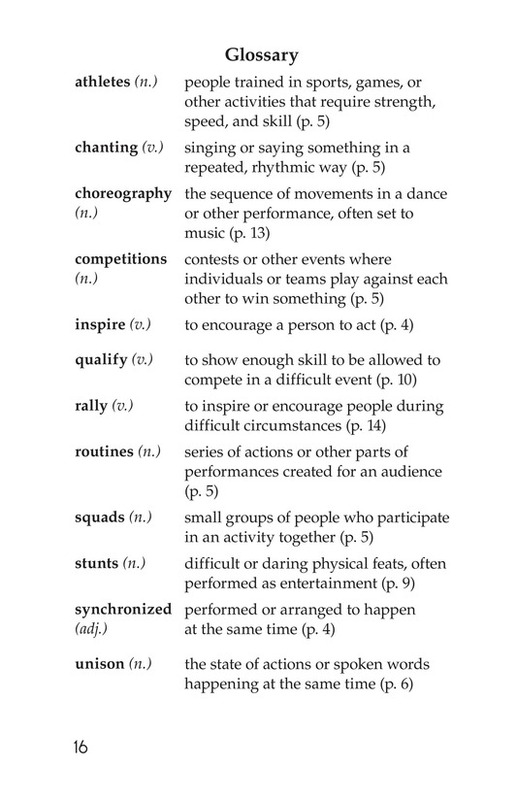 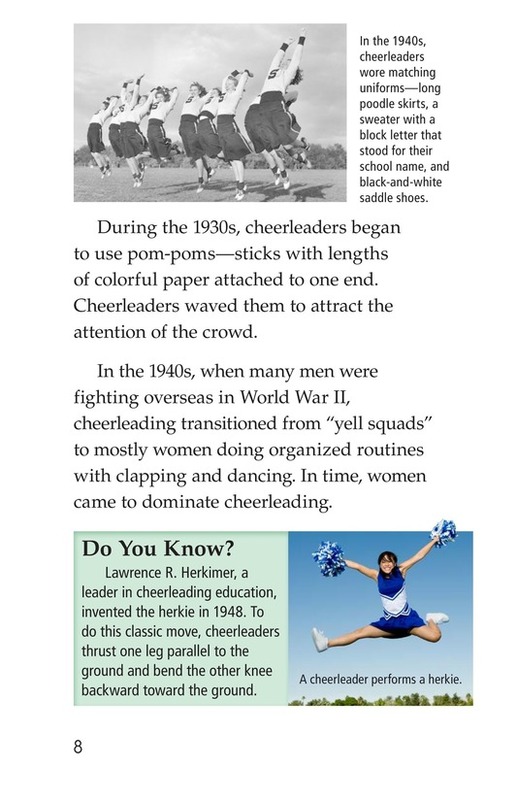 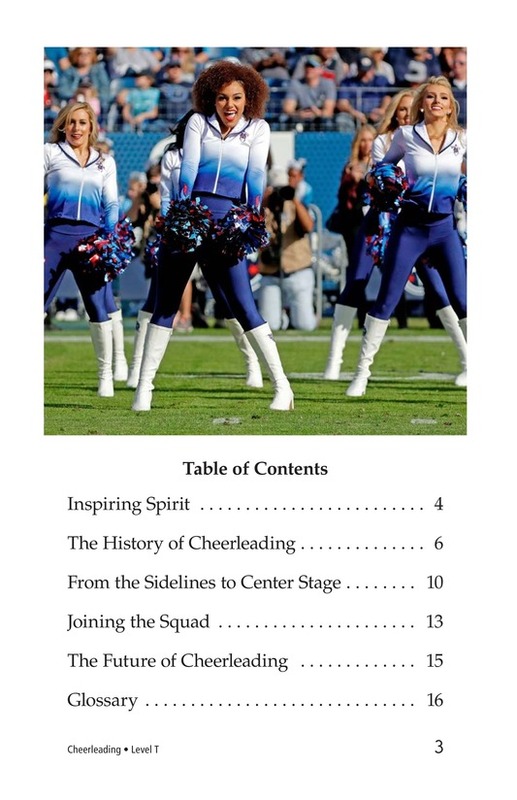 Organized cheerleading has roots that go back to the late 1880s. 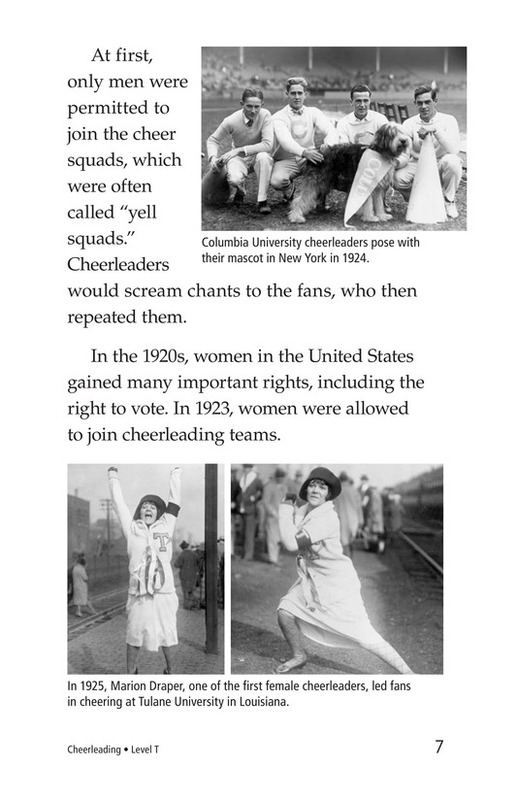 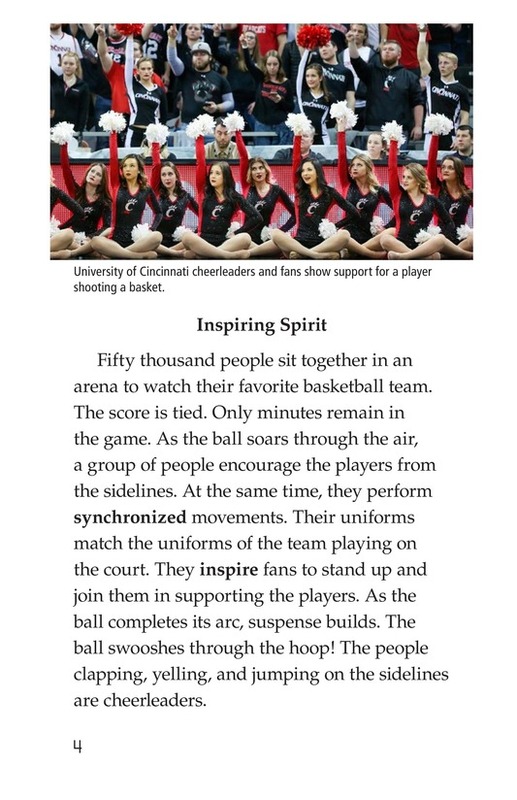 Cheerleaders have been helping people cheer on their favorite sports teams ever since. 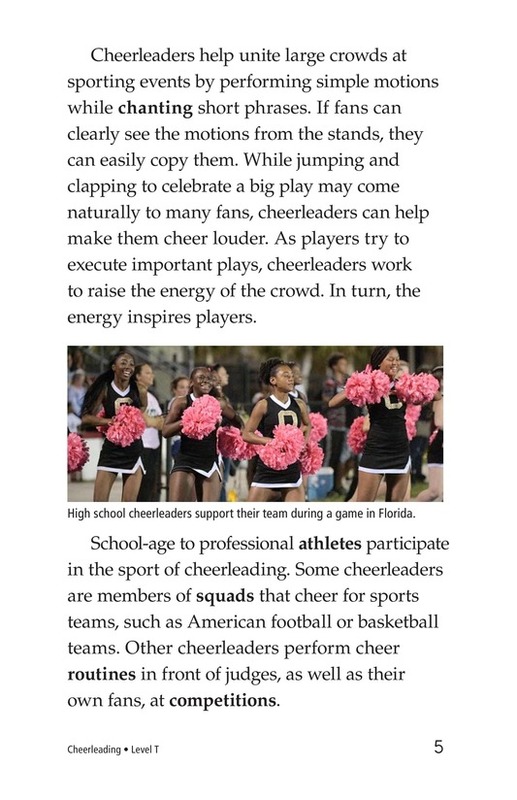 Today, in addition to cheering for many types of sports, cheerleaders of all ages entertain crowds with their amazing stunts and athletic displays. 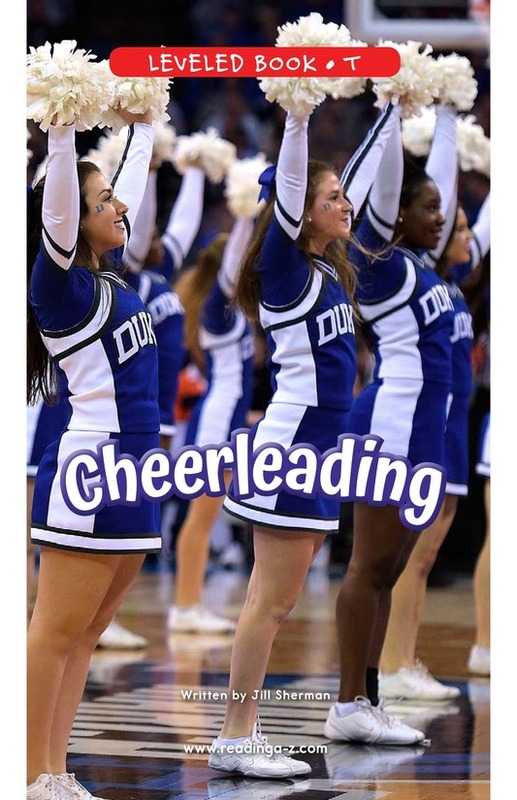 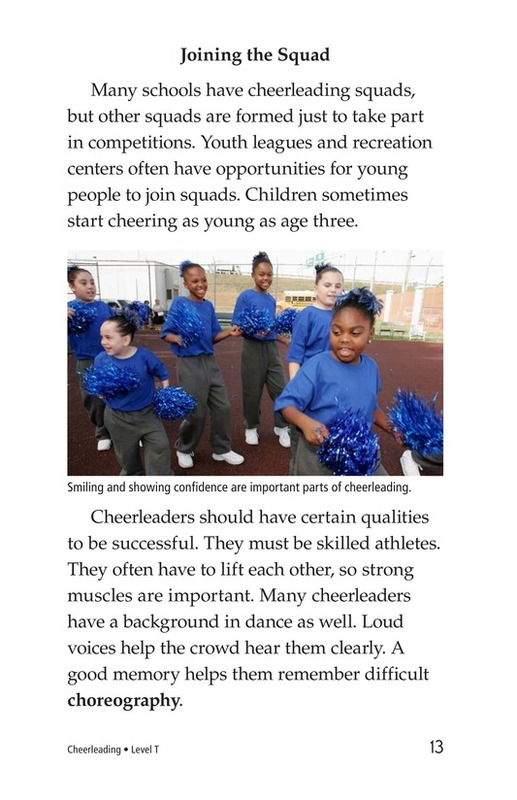 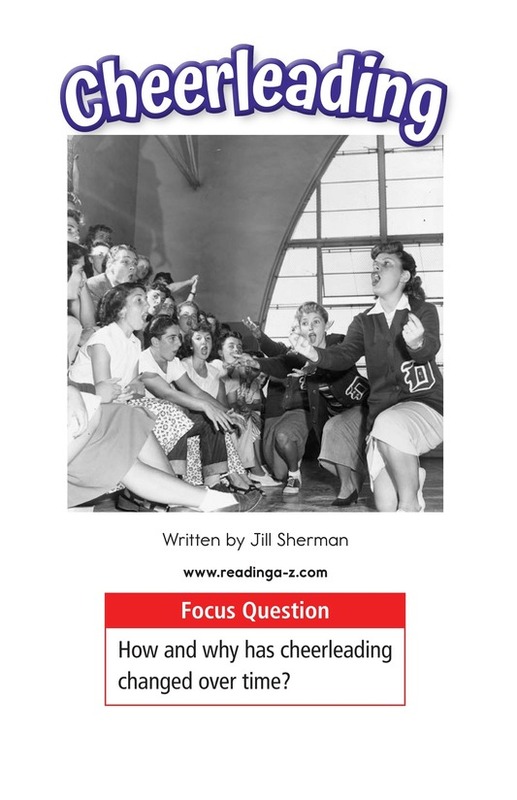 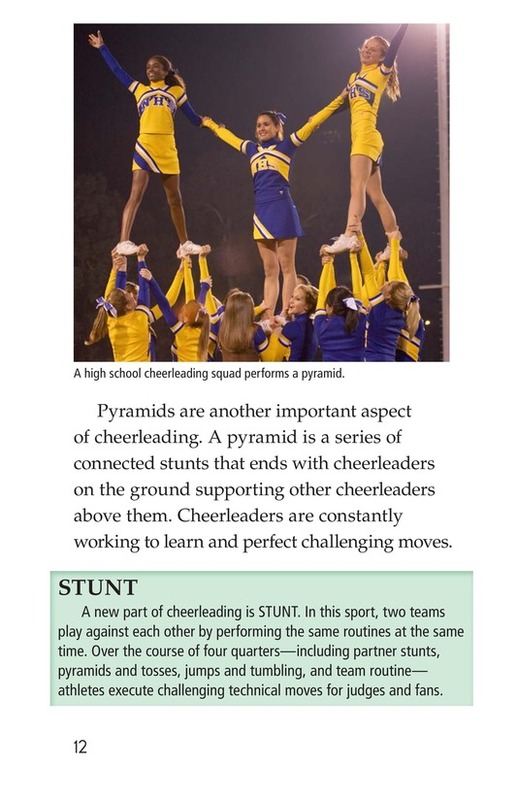 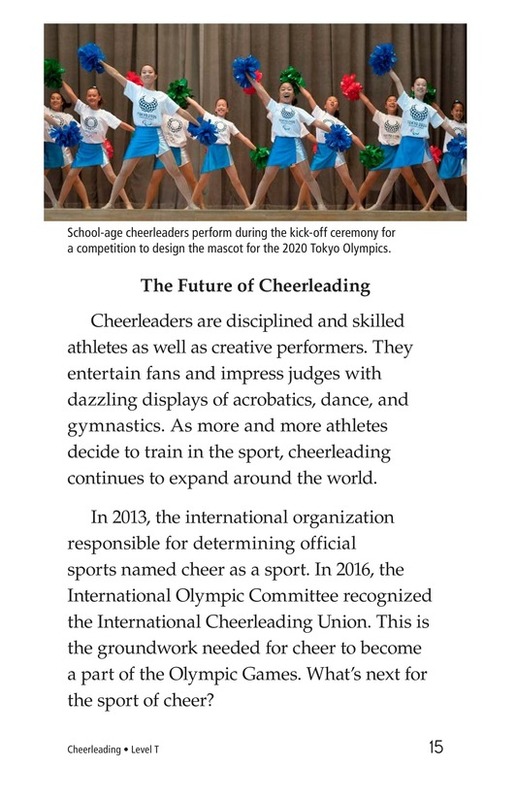 Cheerleading provides students a comprehensive look at how this sport has evolved over time. 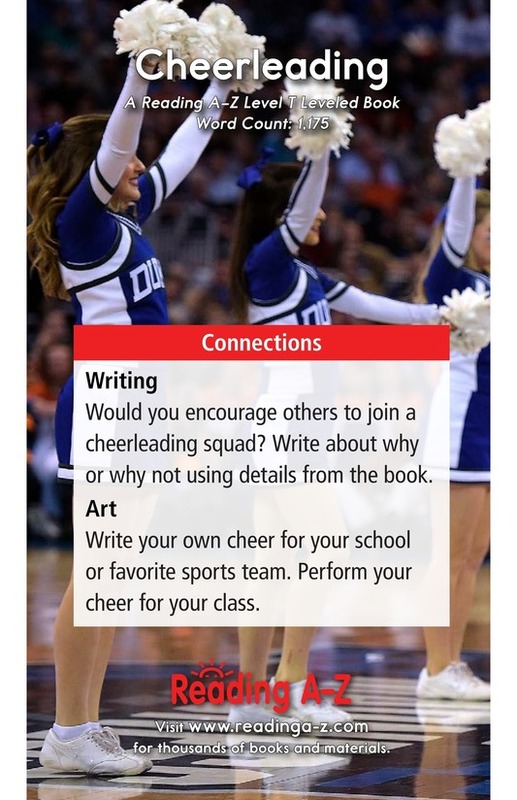 The book can also be used to teach students how to understand a sequence of events and the proper use of verbs.